November 2008 - While filming his father revisiting his childhood city of Mumbai, India, Israeli director Erez Laufer finds himself caught in the worst terror attack in the history of the city. 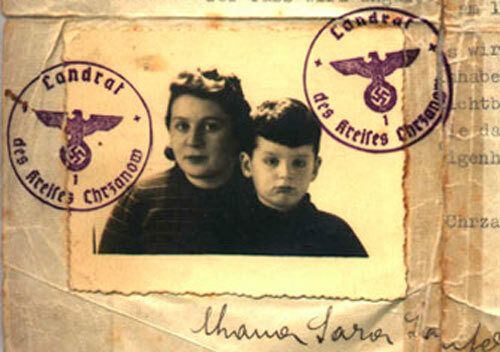 As the drama of the terrorist takeover of Chabad House in Mumbai unfolds, the Laufer family recounts how they found refuge there in the 1940s after fleeing the Nazis. Past and present collide as the family history is echoed in a contemporary war, and a little-known story emerges of the Jewish refugees who found a safe haven in Mumbai during World War II. Rafting to Bombay is the story of how 5 year old Nahum and his mother escaped the Nazis in Poland, crossed Europe by train and sailed on a raft on the Tigris River until they reached the exotic and fascinating India of monkeys, elephants and Rajas. But Nahum's childhood experience, which is remembered as an enchanting fantasy, was in reality, a chilling story of a last minute escape. 20 years ago director Erez Laufer filmed his grandmother recounting her story, just before she passed away. Now, while stuck in the hotel in Mumbai, Nahum listens to his mother's testimonials. Then his childhood's friend Sam Marshall who escaped from the Taj hotel, at the last minute, brings the horrific news of the Chabad house. 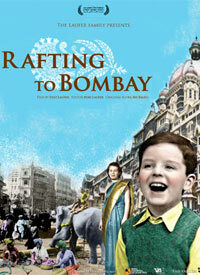 It is a tale of three generations: grandmother, son & grandson telling one story - Rafting to Bombay. From a child's memory of a hopeful and romantic journey, to the mother's horrific reality, and finally to the cruel encounter of past and present time. "I highly recommend this documentary for both its cinematic impact and it serving as a powerful catalyst for discussion." "Laufer's film reminds the world that the consequences of grave wrong-doing span generations as well as continents, and that single actions can have effects lasting a lifetime. Indeed with recent media reports of potential security threats in Mumbai, Laufer's film becomes even more poignant." Jerusalem Film festival, 2009; Affulla City theatre, 2009; Jordan Valley - Beit Gavriel Doco Festival, 2009; Tel-Aviv Cinematque & 15 other cinamateques and JCCs in Israel; Washington DC Jewish Film Festival, 2009; Clair-obscur Cinema Art Festival- 2009, Basel - Switzerland ; Tucson Jewish Film Festival, 2010; Utopia JCC film Series, 2010, Queens NY; JCC on the Palisades, 2010 Tenafly NJ; Contra-Costa Jewish International Film Festival, 2010 Oakland California; Mumbai International Film Festival, 2010; Seattle Jewish Film Festival, 2010; Westchester film Festival, Burns Center NY, 2010; Detroit Jewish Film Festival, 2010; Dallas Jewish Film Festival, 2010; United Kingdom Jewish Film Festival (London), 2010; MIAFF Indo-American Film Festival (New York), 2010; Teachers Holocaust workshop by Yad-Vashem -Jordan Valley, 2010; Teachers Holocaust workshop by Yad-Veshem -Ghetto Fighters House, 2010; Limmud Convention London UK, 2010; Asain London Film Festival, 2011; Juggard Film Series at Architecture Center New-York, 2011; Asian Society Washington DC, 2011. Recently added: Calagary University (Canada); Brandon University (Canada); Melbourne University (Australia) Plattsburg Suny Library; Florida University Gainseburg; Jewish Video Library Seattle; Pacific Lutheren University library; Cockfosters Synagogue (London UK); Auckland University (New Zealand); Michigan University (Ann Arbor); Pacific Lutheran University (WA); Library of Congress; Harvard University; Yale University Library; Ohio State University Library; Pennsylvania State University Library; Monmouth University Library (NJ); Grand Prarie College Library Alberta-Canada; Concordia (Edmonton-Canada); Emek Izrael College Israel; Rice University University Library -(Houston TX); Deleware University Library; Michigan State University Library; Living History Institute Stockholm (Sweden); Drew University Library (NJ); Los Almos Public Library Montana.